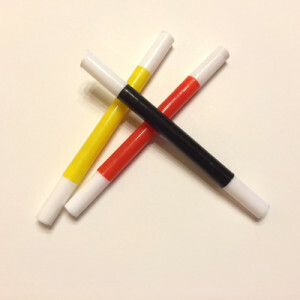 Show three pocket-sized “wands” of different colors – Give all three “color wands” to a volunteer. While you cover your eyes and turn your back, the volunteer chooses one and puts it in your hand. He then hides the other two behind his back. 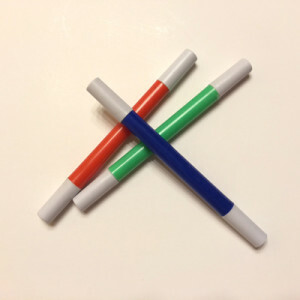 With the color wand behind your back, look into your volunteer’s eyes, say the three colors, and reveal the color he chose. A great illusion for all ages. So easy to learn that even kids can do it. Complete instructions are included. 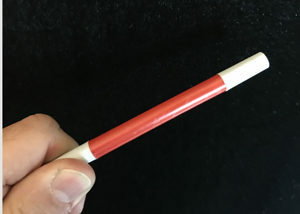 The Color Wands measure approximately 4” long, 0.3” diameter. Red, Blue, Green – Great for introducing Bible stories – i.e., Red for how Jesus died for us, Green for the story of Zaccheus and Blue for Jesus calming the storm. Discover Christmas Color Choosing Wands HERE.